This 15 cubic foot refrigerator has a combination lock with a key override and is the replacement to the CTR15LLF. 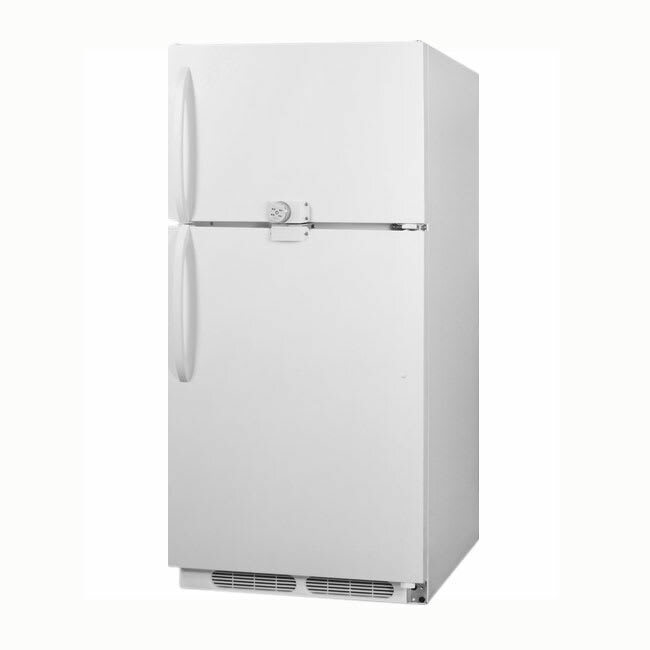 The freezer compartment of this refrigerator is ice maker ready so it can be factory-installed or self-installed with the purchase of a full kit. There are two crispers included and there are a total of five shelves in both compartments (two in the freezer cabinet and three in the refrigerator cabinet). 115 V/60 Hz/1-ph, 383 kWh/yr. This unit is not designed for vaccine storage.